CDI is delighted to work with a range of skilled professionals who bring a breadth and depth of skills and experience to our work. 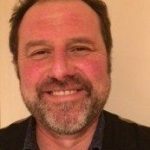 Andy worked for many years as a Training Consultant with the NHS and Social Services in the London and South-East England areas. He delivered training and coached staff, working with people with learning disabilities and directly with service users themselves, many of whom displayed behaviour that seriously challenged services. Having moved to Waterford nearly 20 years ago, Andy managed the Waterford and South Tipperary Pathways Project for 10 years, providing mentoring supports and Progression Programmes to Early School Leavers. He also managed the School Completion Programme (SCP) na Siuire, in Waterford City and South Kilkenny, supporting young people at risk of leaving, to remain and thrive in school and working with them and their families restoratively. Andy has facilitated hundreds of planning, evaluation and problem-solving sessions for community, voluntary and statutory groups and organisations in the South-east, on a free-lance basis and continues to do so. He currently works part-time as a tutor with the Moving On Programme in Waterford. In 2000 he gained Practitioner status with the Mediators Institute of Ireland (M.I.I) as part of the Family Mediation Service in Cork. In 2011 he became a Certified Trainer with the International Institute of Restorative Practice (IIRP) and in 2016 achieved Training of Trainer status with the IIRP to deliver training to prospective trainers and their assessment. 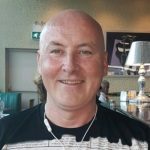 Andy chaired a Working Group exploring the rolling-out of RP in Waterford City and County from 2011-2013 and co-founded the Waterford Restorative Practice Network in 2014, for whom he has facilitated numerous training workshops and restorative interventions. Andy has two grown-up children and lives in Co. Waterford. He bears a difficult allegiance to both Plymouth Argyle and the Waterford Senior Hurling team! James has many years’ experience of working with marginalised communities with a focus on working with ex-prisoners resettling into the community. He has considerable work experience in supporting individuals, groups and communities to address addiction issues and the impacts of neglect and deprivation. His work includes facilitating self-help groups with the Pathways Centre which supports the social and economic re-integration of former prisoners. He has worked with Turas Bluebell to support and facilitate groups of men and women who are stabilising on methadone and going into treatment. And he has spent a number of years teaching mature adults law and social studies at Henrietta Adult Community Education (HACE). James is a highly experienced Lead Facilitator with the Alternatives to Violence Project Ireland which is a training programme enabling participants to deal with potentially violent situations in new and creative ways. He has experience and expertise in working with young people at risk to support and empower them to make positive choices for their lives. Having studied Social Sciences, he went on to complete a degree in Law and is undertaking training as a Restorative Practices Trainer. Jonathon studied an Hons BA in Community and Family Studies through NUI Galway and is now currently the Afterschools Manager in Citywise Education based in Jobstown in West – Tallaght. Having worked with young people in an out of school educational setting for 12 years and young people in residential care, Jonathon became involved with the Doodle Den programme recognising the need for early academic intervention. Jonathon delivered the pilot programme in Doodle Den and then continued to deliver in local schools for six years before completing a train the trainer course with CDI and taking up the role a role with the quality insurance team. When not sitting in a class room or office he loves to play all sports and is currently involved with St. Annes GAA club and St. Marks basketball club. 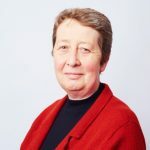 Jean is an experienced Restorative Practices (RP) Trainer and works with CDI to design and deliver RP training, including Training of RP Trainers and Summer Courses for Teachers. She has delivered RP training in many schools to teachers, parents and students. Jean is also a facilitator in the Alternative to Violence (AVP) Project and has facilitated training in RP and AVP for vulnerable young people in a variety of settings. 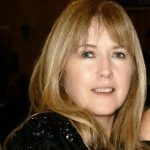 Jean is passionate about the building of relationships and resolution of conflict, and at heart holds a strong belief that restoring respectful relationships will connect / reconnect us in a disconnected world and assist all of us to repair harm when it occurs. Jean has worked as School Completion Programme (SCP) Manager in Tallaght for the last 11 years. She has a demonstrated history of designing and developing evidenced based (in school and out of school) programmes and interventions for young people (4-18yrs) who may be ‘at risk’ of leaving school early. Jean has been instrumental in bringing restorative practices to all the schools within the School Completion Programme cluster she manages. Jean holds a BSc. (Hons) in Counselling and Psychotherapy from Middlesex University London and Certificates in Psychology, Youth Justice, Restorative Practices and Mediation from NUI Maynooth. 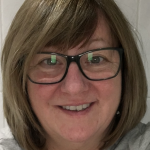 Jean is also skilled in Mindfulness, Child and Adolescent Psychotherapy, Play & Family Therapy, Motivational Interviewing, and Cognitive Behaviour Therapy. Lindsay qualified with an honours B.Sc in Clinical Speech and Language Studies (SLT) from Trinity College Dublin in 2004. 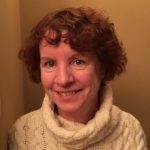 For a number of years she worked as part of an interdisciplinary team in the disability sector, working with children with physical disabilities and their families. When promoted to the role of Senior Therapist in 2008 she took on the role of mentor, supervising a range of basic grade speech and language therapists. Lindsay has a passion for student education and was employed as a practice tutor for speech and language therapy students in Trinity College for nine years. Her role entailed coordinating and supervising student placements as well as being involved in their examination. This motivated her to complete her thesis ‘Working with parents: students’ perspectives and experiences’ as part of her Masters degree from the University of Sheffield in 2012. She presented this thesis at the Irish Association of Speech and Language Therapists conference in 2013. Sylwia has worked towards improving outcomes for children and families in Ireland at research, practice, management and implementation levels. 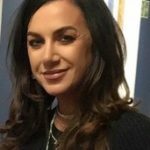 For the past 10 years she has led the development and implementation of a range of prevention and intervention programmes across seven DEIS schools in the Cabra School Completion Programme, school-based support service aimed at improving students’ participation and retention in education. Prior to that she worked as a full time Researcher in the Educational Disadvantage Centre, Dublin City University. Sylwia’s clinical and academic expertise is in supporting language and literacy. She is a CORU registered Speech and Language Therapist and she has supervised several M.Ed. theses focused on language and literacy teaching and learning; measuring intervention outcomes in complex social systems; and fostering parental engagement, especially in the context of social exclusion. 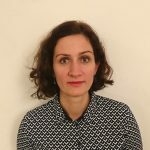 Sylwia is particularly interested in multi- and trans-disciplinary work across human services and translation of theory into practice in dynamic systems. She holds a PhD in Education (DCU) and a Postgraduate Certificate in Implementation Science (TCD), and has a deep overall interest in quality implementation in schools. Mick is an accomplished and highly effective professional educator recognised for experience in school leadership, strategic planning and development, training and public speaking. With over thirty years over working in senior positions in education and local authority work; experience in regulatory work, as a trustee for a national organisation. Trained in interpersonal and family mediation. Accredited as a restorative justice conference facilitator. A seasoned practitioner in all roles for building strong relationships and facilitating communication between team members or course participants. Maighread is a qualified Nurse, Midwife, Montessori Teacher, First Aid Response Instructor (FAR) and a Registered Occupational First Aid Instructor. Qualifying in Ireland, she worked at home and in Australia as a State Registered Nurse and Registered Midwife. Subsequently, she trained as Montessori School teacher and managed her own Montessori School over many years. She was a Facilitator in CDI’s Doodle Den afterschool programme to support literacy development. She is a trained First Aid Response Instructor (FAR) and a Cardiac First Responder with the Pre-Hospital Emergency Care Council, which is recognised by the Health and Safety Authority. She trained as a Registered Occupational First Aid Instructor with the Occupational First Aid Assessment Agency (OFAAA.) and instructs in Cardiac First Response, Occupational QQI Level 5, First Aid Response, Paediatric and Emergency First Aid. She has extensive experience in first aid and childcare. She has managed and mentored the staff in her own Montessori School, delivered first aid courses and supported Doodle Den facilitators. Her combined background experience in medical, teaching and childcare is a valued asset when teaching, mentoring and facilitating programmes and meetings. Kieran has been active in the field of restorative practices for over 17 years, initially in the criminal justice system and latterly also in community settings. He is a practicing trainer, facilitator, lecturer, consultant and researcher in the area, and the author of several conference papers and book chapters on the topic. His contributions include a quality assurance framework for restorative practice, published in 2014 (available here), and a co-authored chapter on restorative justice in the Routledge Handbook of Irish Criminology, (2015). He is a member of CDI’s panel of RP trainers and has delivered training at various levels in diverse settings. 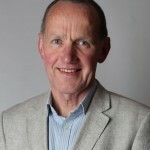 He is a member of the steering group of Restorative Practices Ireland, and a Board member of Restorative Justice Services Ltd where he developed a training video and delivered training to panel members. 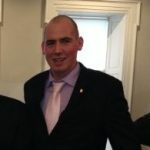 Kieran is also a volunteer chair of offender reparation panels, and he completed a PhD degree in University College Dublin in 2008 by research into the restorative justice programme for young offenders under the Garda Diversion Programme. He is also an associate lecturer with the Edward M Kennedy Institute for Conflict Intervention at Maynooth University. Emer is Head of the Department of Reflective Pedagogy and Early Childhood Studies at Mary Immaculate College (MIC), Limerick. She previously worked as a mainstream class teacher, a learning support teacher, a resource teacher at primary school level and a senior inspector with the Department of Education and Skills. In particular Emer’s teaching experience was in the area of early years and special education with a particular focus on the experiences of children with autism. Emer is Course Leader for the Bachelor of Arts in Early Childhood Care and Education Programme (BAECCE) programme at MIC. She lectures on the BAECCE and the Bachelor of Education (B.Ed.) programmes and also supervises students’ research at undergraduate, Master’s and Ph.D. levels. She is also a consultant placement supervisor for students during practicum experiences. Emer has recently been joint principal investigator in two national research projects: An Evaluation of Concepts of School Readiness among Parents and Early Years Educators in Ireland, commissioned by the Department of Children and Youth Affairs and An Evaluation of Educational Provision for Students with Autistic Spectrum Disorder in the Republic of Ireland, commissioned by the National Council for Special Education. More recently Emer has been involved in a consortium comprising MIC, Early Childhood Ireland and Maynooth University – Froebel Department to provide a Level 6 Special Purpose Award (Higher Education) Leadership for Inclusion in the early years’ (LINC) programme, for 900 staff in Early Years’ Settings annually. Having taught in several schools in Ireland, U.K. and the Middle East and as principal in Grangecon N.S. for five years, Bernie is currently Deputy Principal in St. Brigid’s N.S., Manor Kilbride. 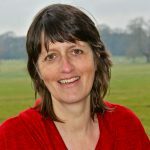 She is an advocate of and passionate about a holistic approach in education and has trained in a range of modalities including primary movement, promoting and supporting positive behaviour in the primary school, developing collegiality in a primary school; developing mindfulness and happiness in primary school children, as well as being a Restorative Practice practitioner and trainer. Sinead Tierney currently works as a Practice Development Manager and is responsible for leading the development of evidence based practice in her agency. She has significant experience in driving organisational change and in shaping the future of service provision within social support services. 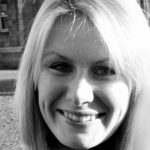 Sinead has 18 years’ experience in the social care field with 11 of those in management and leadership roles. Sinead holds an MA in Child, Family and Community Studies and is currently undertaking 2nd MA in Practice Development with a focus on evidence based practice and change management.